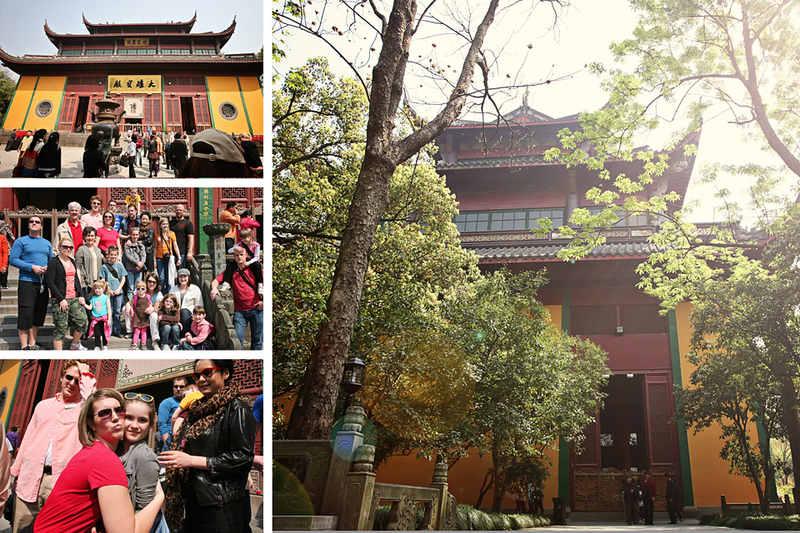 Our China Adventure! Part 1 – It Works For Bobbi! Published on April 27, 2012 August 9, 2016 by Bobbi-Jo G.
Time to get documenting! Yes, this is going to be a long post, full of photos and text, personal thoughts, quips, and more so avert your eyes if you aren’t looking to spend a while here 🙂 I promised to include more personal posts, and I also need a spot to write down the details of our trip for the future (have I ever mentioned just how bad my memory is?) so here I am! Day 1: Since we are the only ones in the family who live in Saskatchewan, we had to get up early, get dressed, grab our backpacks (that were filled with activity books, crayons, earphones, small toys, etc. 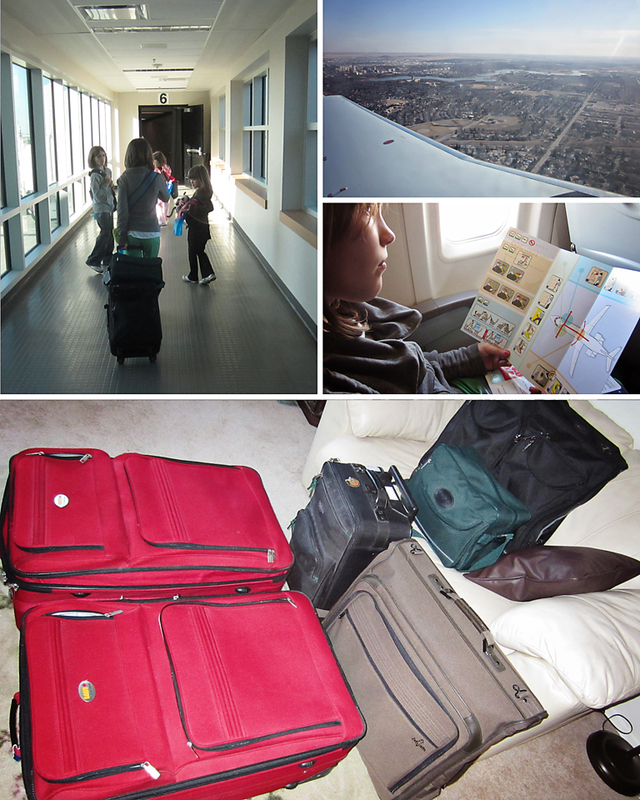 ), grabbed our luggage, and headed out the door. We have amazing friends that arrived at 7am to pick us up and take us to the airport. We love you, Cuellars! 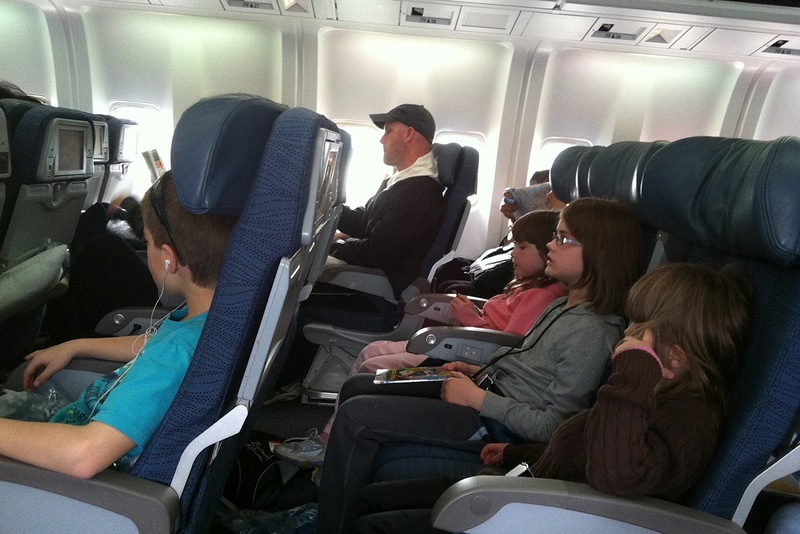 We had to catch our first flight in Regina, which we were all so excited about. 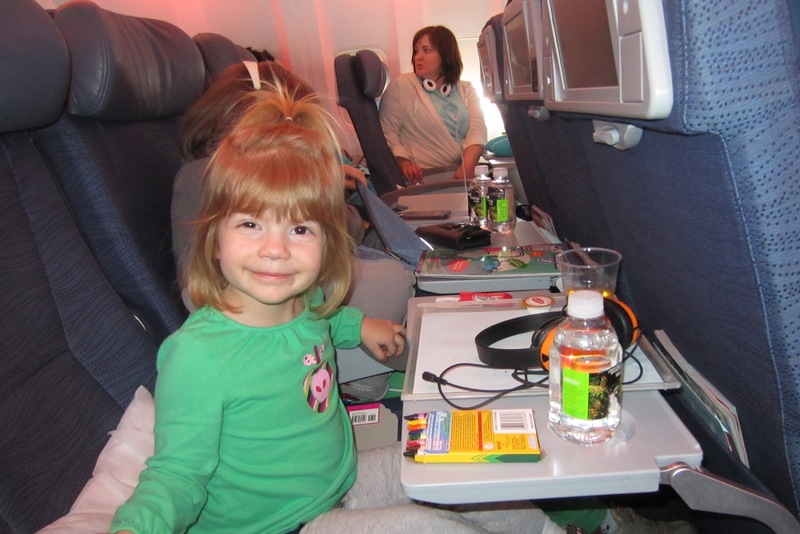 I mean, this was the first time travelling by air for me and the girls. I loved going through baggage check. I loved waiting to board. I love walking down the little ramp onto the plane. I loved boarding the teensy tiny plane to Vancouver. I loved take off and I loved landing. I loved every bit of it. 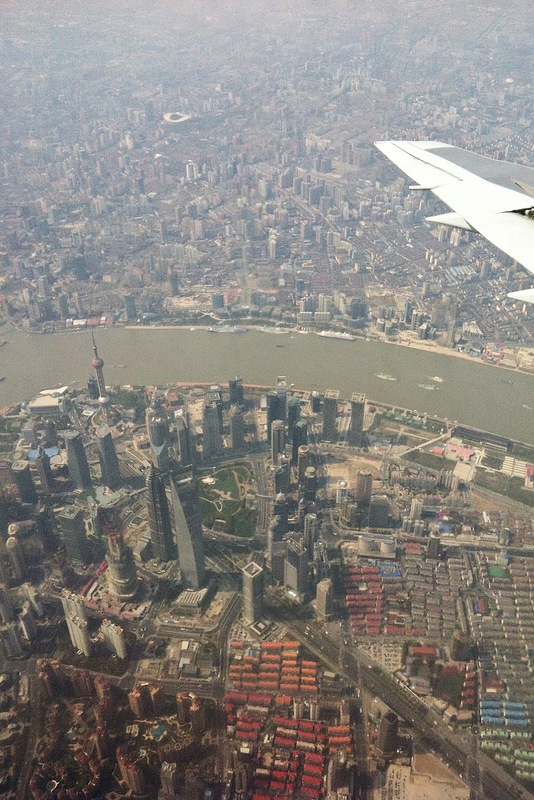 The flight was a long one…13 hours, after we had to fly a loop in the air as we passed over Beijing. 13 hours was about 2 hours too long for me, but the kids were fabulous. 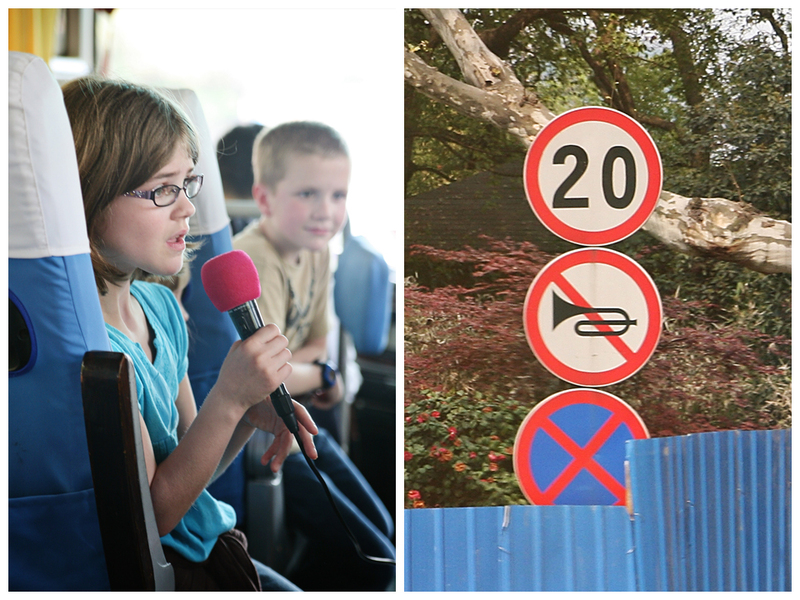 It’s a long time to have to sit, but with movies, games, and cousins – it seemed like it was no biggie for them. For me? I had a migraine so it was a little tough. Maybe the altitude change? Who knows. So, the flight is finally coming to a close and we begin a very bumpy descent. 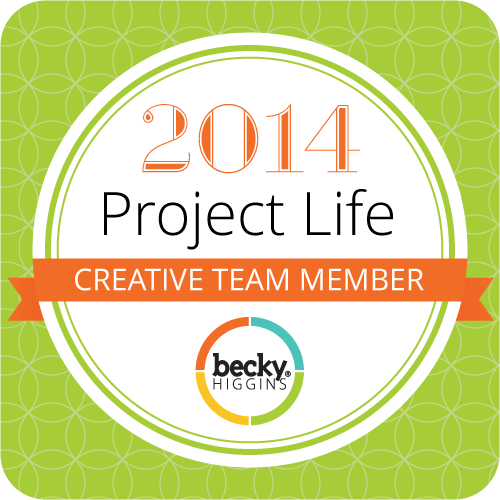 With two expecting mothers in our group we expected some air sickness, but I wasn’t prepared for how sick Brynae got. 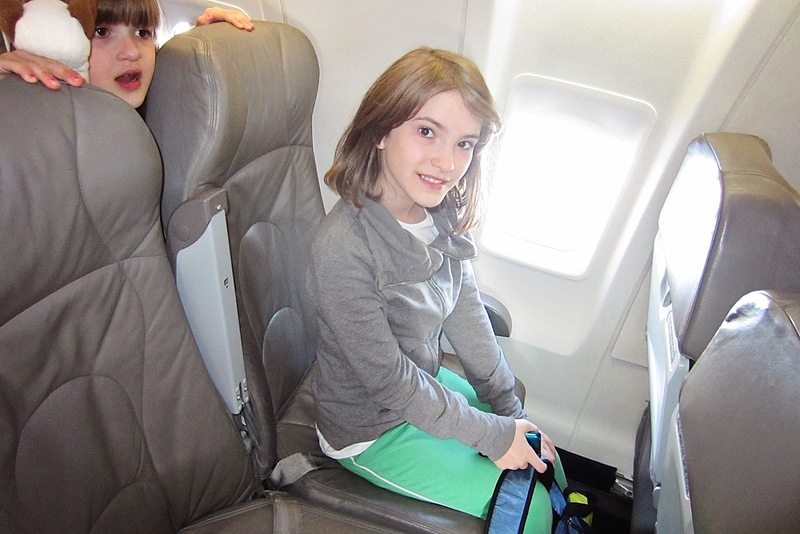 She was a little trooper, though, and put her sick bag to good use. 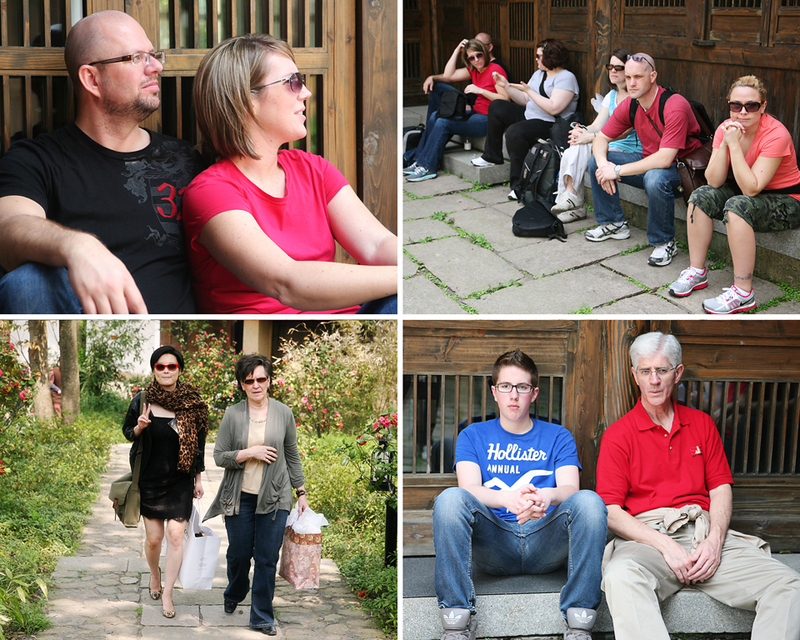 With a few of our group feeling sick, we made a slow entrance into Shanghai, but we did make it. Blaine and Yuan Li were there to greet us…Yuan Li looking fabulous, and Blaine looking like some kind of director with his video camera going strong. We were happy to see them. First things first…we grabbed our luggage and then grabbed a bite to eat at Burger King. Brynae just couldn’t stomach anything, poor girl, and she even gave us a scare when she disappeared to the bathroom without telling anyone! Near heart attack #1 and we had barely arrived! Burger King (in the airport) was also the first place where we noticed Yuan Li getting recognized. It started with fellow diners discreetly taking pictures of her with their phones, and graduated to people approaching her to say hello. She handles it all really well. After lunch, we loaded on to a tour bus – something we would be traveling around a LOT in. We had a group large enough (just with family) to nearly fill the bus. It was nice to have a private tour bus with Blaine as our guide 🙂 We were going for a nice ride through Shanghai and out of town towards Hang Zhou, the city where Yuan Li was born and lived. 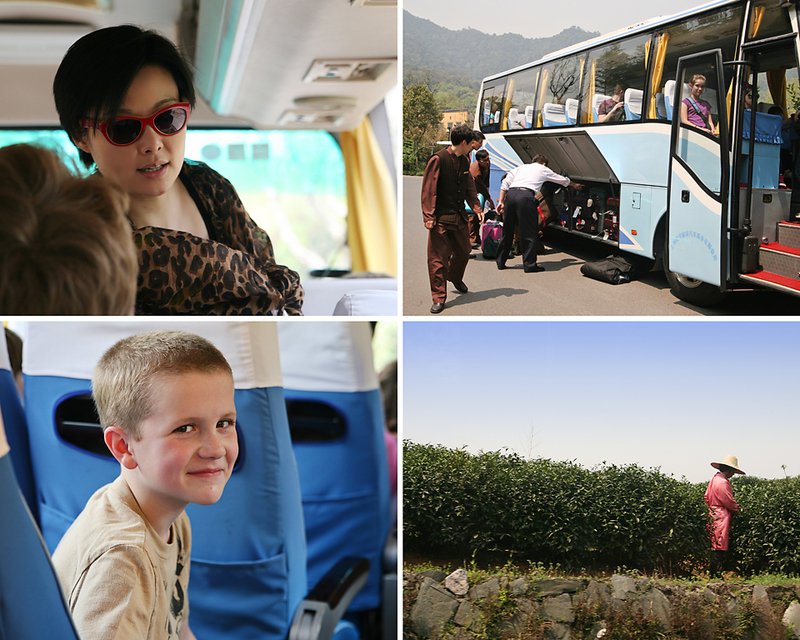 It was about 3 hours from the airport to the hotel we would be staying in, in Hang Zhou. 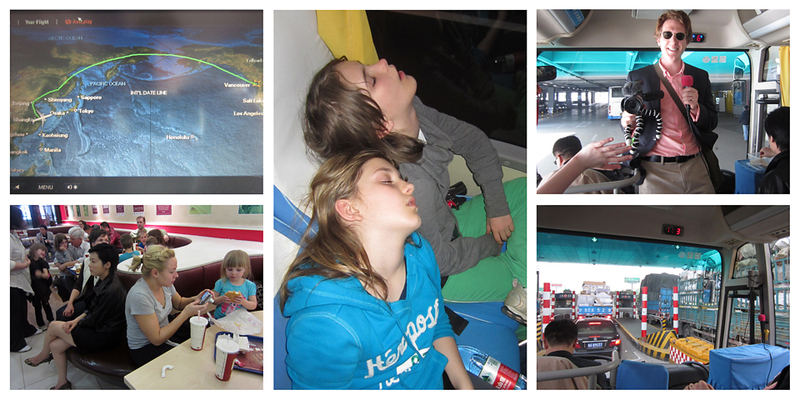 The kids (and some of the adults) were completely wiped out after the flight and now the bus ride. 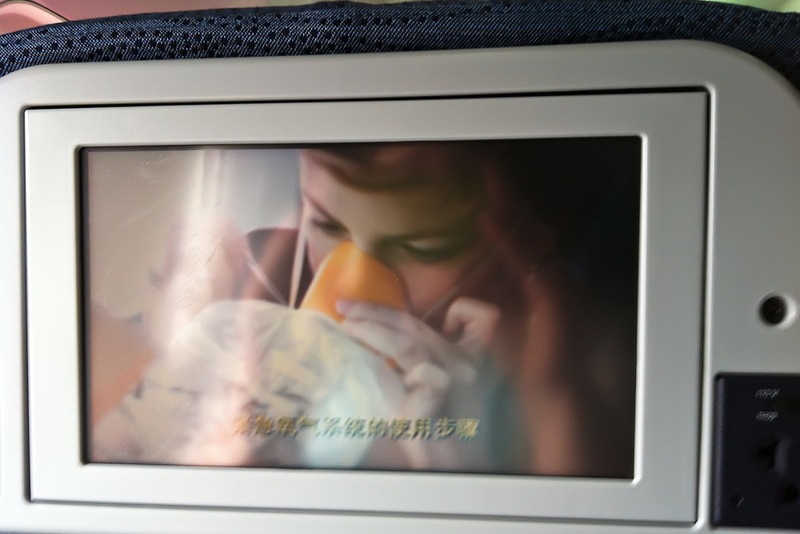 As for me, I didn’t sleep a wink from Regina to bedtime in Hang Zhou… over 26 hours awake, all told. We would be staying just outside of Hang Zhou at an amazing hotel/resort called “Amanfuyan”, and it was HUGE (situated on 14 hectares). The resort is comprised of 47 dwellings surrounded by tea fields, natural forests and lush groves of bamboo. 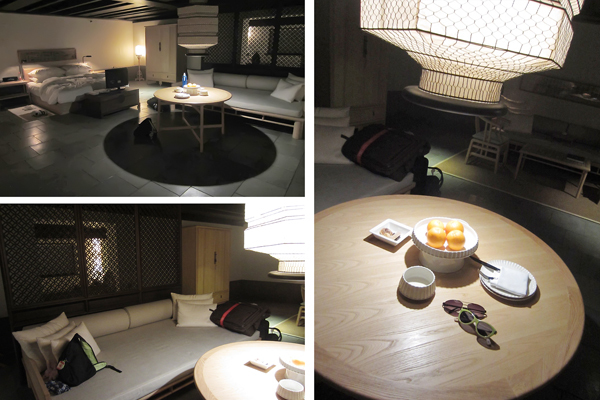 It used to be a Buddhist Monk village, and is now an amazing five star resort. We arrived at night, so it was fairly dark, and we had quite a trek to find our “cabins”. Then, back to the main building where a FEAST was waiting for us! 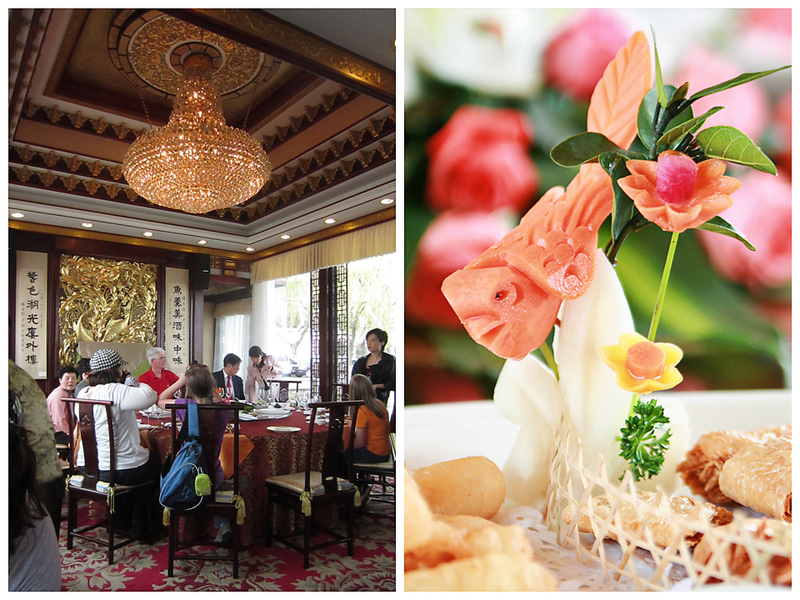 The food was so different and this was our first official taste of “traditional” (though gourmet) Chinese food. Lots of vegetables prepared many ways, lots of fish, shrimp, chicken, and bamboo dishes. I was surprised that we didn’t see any rice. 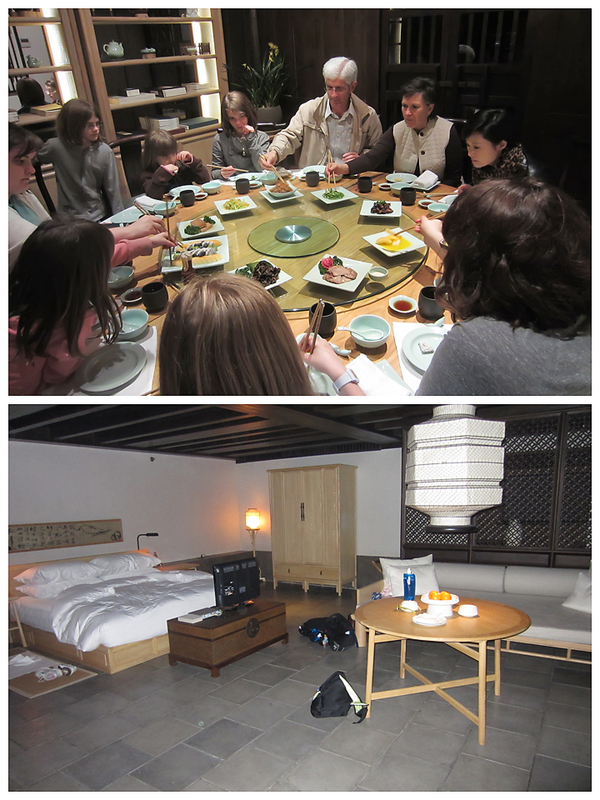 As delicious as the food looked, most of us were SOOOOO exhausted we just wanted to jump into our gorgeous king-sized beds and take a snooze. I mean, who wouldn’t want to just spend weeks hidden away in a room like this? It was so gorgeous, HUGE inside, and very Chinese in design. I loved it so much. Five star all the way! Surprisingly (or maybe not) we slept the entire night. 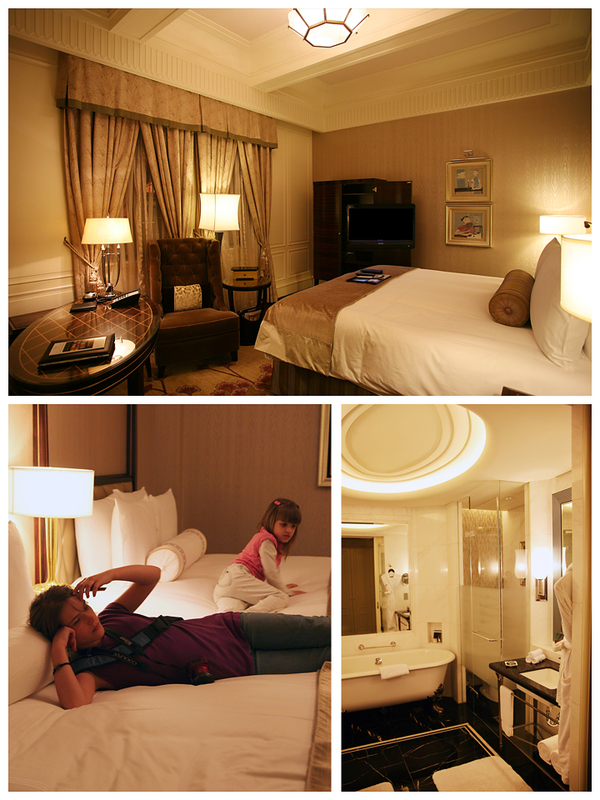 I think we hit the sack around 10pm (Shanghai time – more like 8am Regina time) and slept until 5am or 6am. Others in the group weren’t as lucky – they suffered from a bit of Jet Lag and woke up in the early morning hours. I’m so grateful that neither Lyndon or I or our children suffered from any Jet Lag. Hooray for that! I woke up at 5am, got dressed, and headed out the door with my camera to take some pictures of the gorgeous grounds. It seemed like every direction I looked, there was something absolutely stunning to see. 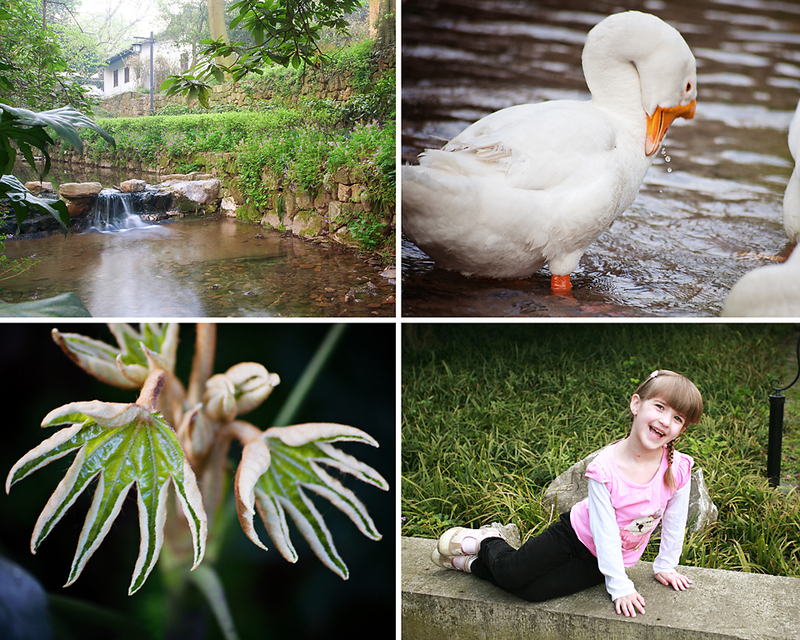 I loved the little stone bridges over the waterfalls, the geese, roosters, and other animals, the interesting and unique plant life, and the rising green mountain surrounding us. 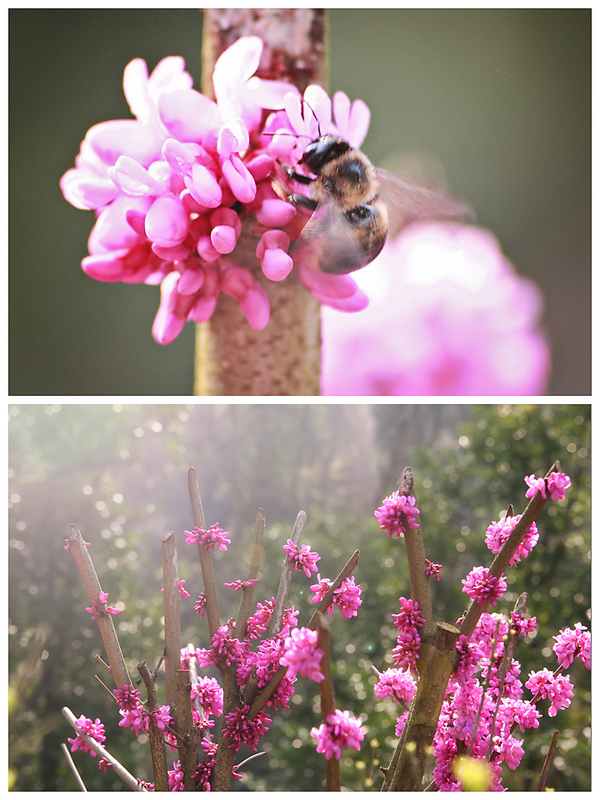 Just some shots that I captured. There were so many. We enjoyed a glorious breakfast at the cafe which was bright, open, and beautiful (like everything else here). I enjoyed some scrambled eggs (farm fresh!) with some grilled veggies (I have learned to absolutely adore grilled veggies for breakfast), and of course some FRESH SQUEEZED apple juice. Amazing. We hung out for a few minutes, just chilling and visiting before heading over to see the Buddhist Temples which are adjoined to the resort. 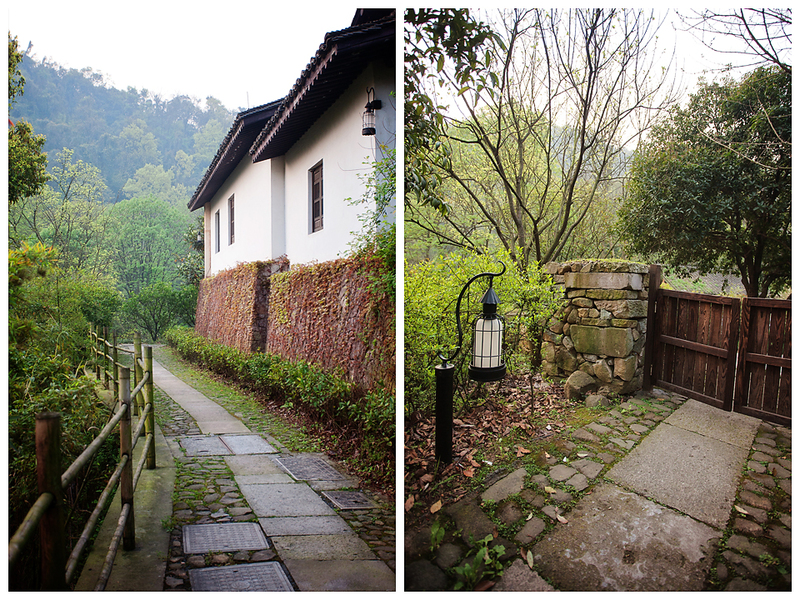 We walked down the Fuyan pathway in the resort to a private gate to the Temple park. It was shortly after going through this gate that, once again, Yuan Li was noticed by her adoring fans. It was so fun to watch their expressions change as she walked past, and to see how fast their cameras whipped out of their pockets to start snapping photos of her. 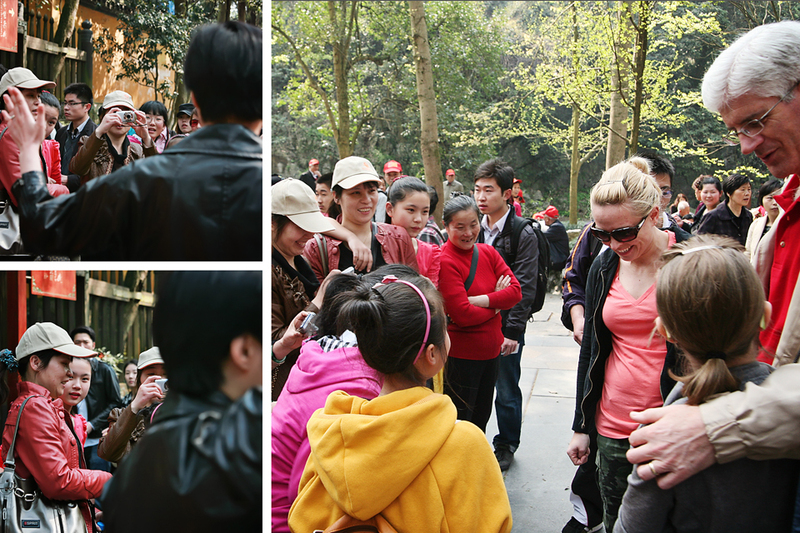 Oh, and they were just as taken with the gorgeous little “foreign” children with the blonde locks and blue eyes. Grandpa was his friendly self and offer to take a few photos with some “fans”. The temples were something incredible to see. I was taken by how HUGE and how ornate they were. Every corner was delicately painted in vibrant colors and gold leafing. Amazing. 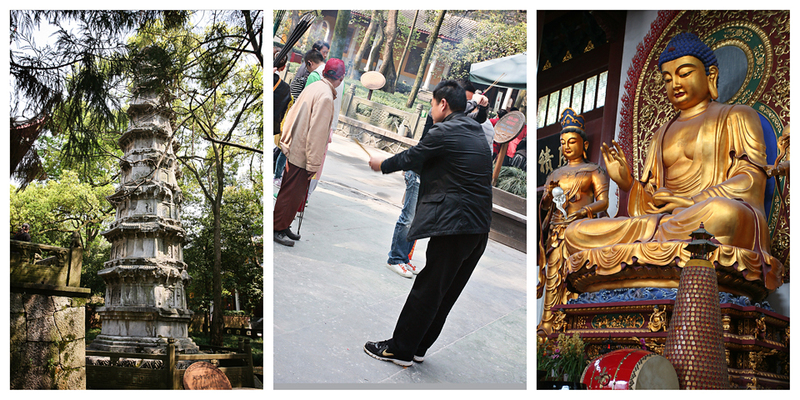 There were a lot of people there to worship, pray, throw coins, and burn incense. I found it so interesting that a place of worship was being overrun with tourists and gift shops. It felt so counter intuitive to me. But I guess it is their churches that are set apart for reverence and only certain worshippers (which is more like how our temples are – and our churches are open to anyone who would like to visit). It was a different experience, that’s for sure! After the Temples, we headed back to the resort to pack up our luggage and wait, lazily, for a few minutes while the luggage was loaded and the rooms were…ahem…paid for 🙂 The weather was gloriously warm and we had just walked out butts off (okay, if only I was being literal about that last part), so we were grateful for a chance to just sit a relax before our next adventure. 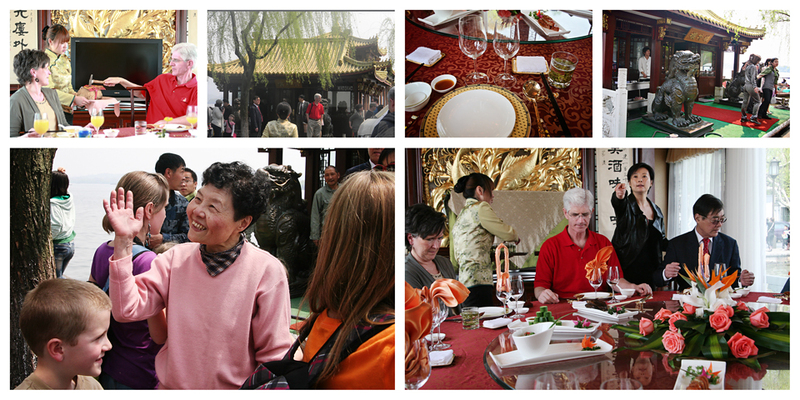 We didn’t rest long, however, before it was time to hop back on the bus and head back into Han Zhou for a real treat! Most importantly, we would be meeting Yuan Li’s mother, father, brother, and sister-in-law for the first time. I was so excited to meet them. 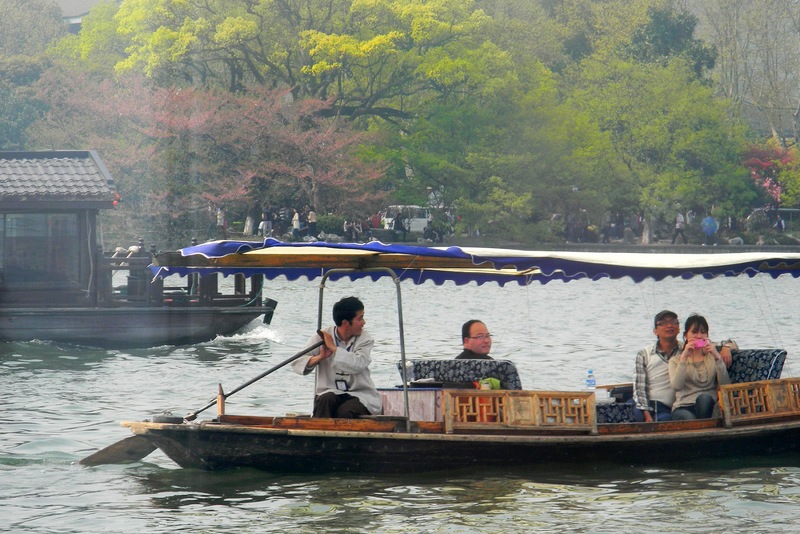 Second, we would be dining on a private restaurant barge…an entire boat just for us! When I heard Blaine say we would be eating on a boat, I pictured something a lot simpler and smaller than what we found when we stepped off the bus! Yuan Li’s mother greeted us as we stepped off with a smile, a wave, and a hug for Jeff and Judy. The boat was a glorious chinese-style barge with HUGE chandeliers, large round tables set with gold cutlery, paintings, statues…the works. It was unreal. I had no idea just how fancy an affair this would shape up to be. I had the privilege of sitting at the same table as Yuan Li’s family, and I got to listen to Yuan Li and her brother translate the conversation between her parents and Jeff and Judy. I admire greatly anyone who can successfully be fluent in a second (or third) language. It is something I have always wanted to do. We said our goodbyes, used a nearby bathroom, and boarded the bus for the 2-3 hour drive back into Shanghai. 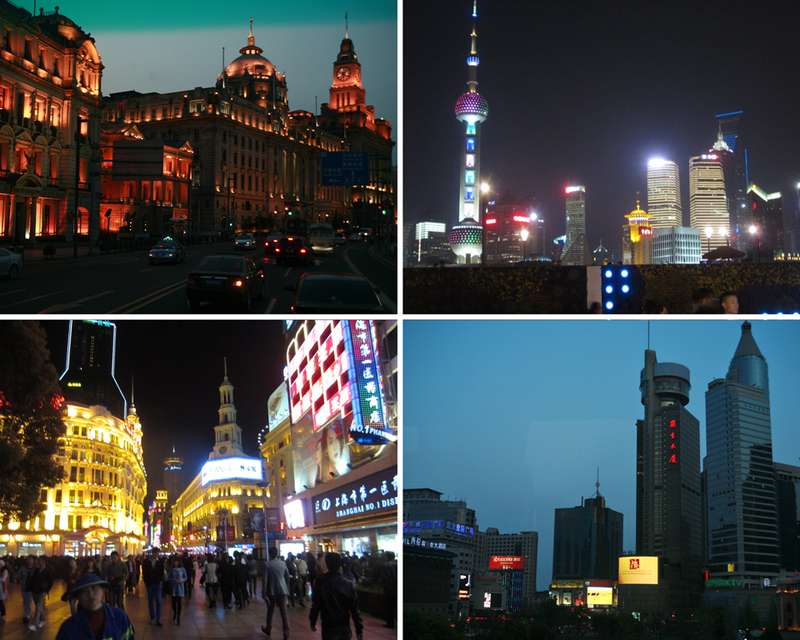 We arrived back in Shanghai in the early evening, and (since it took another hour to drive through the city to our hotel on the Bundt) we got to see the city light up and come alive for the Shanghai night life! The gorgeous historic architecture along the bundt was amazing to see – very old and almost European looking. Then, across the river, modern Shanghai lit up the night with bright neon colors and designs. I loved seeing the mix of old and new. The hotel…oh, the hotel. We stayed at the Fairmont Hotel, which is right along the Bundt in Shanghai (a beautiful boardwalk along the river overlooking the modern Shanghai skyline). Before going to China, I did a little looking on the Internet to see what I might like to see while in Shanghai, and The Bundt was on the top of the list. I was thrilled that our hotel was right on it! The Fairmont was extremely high end – I mean, there was a flat screen right next to the bath tub! Everything was posh and gorgeous. I wanted to just melt into that bed and never get up. BUT we had a full day ahead of us, so it was right to bed! 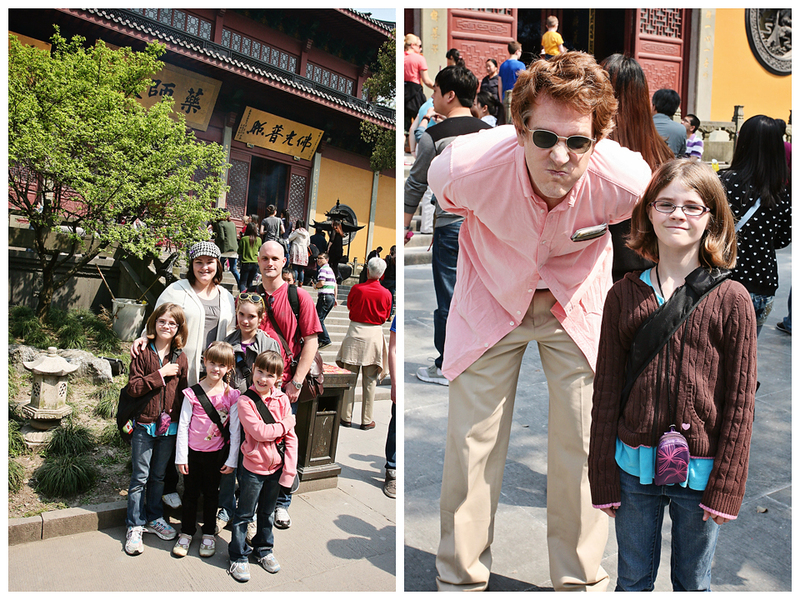 I’ll be back with our China adventure…part 2 soon! I don’t want to forget a single detail (I still can hardly believe I was there, and that my children got to experience it all with us!). Stay tuned! Bobbi, what an amazing experience for you & your family! Thanks for sharing about your trip and your pictures are beautiful! Oh Bobbi, I love this post! I cant wait to read and see so much more!! question… who's preggers? this is an amazing adventure and so glad we can see it through your eyes@ keep em coming!!!! Looks like you enjoyed your trip. My father was born in Shanghai, he urges me to visit all the time. 😉 .. the food is like no where else. I miss my grandmother's cooking. Admiring the time and effort you put into your blog and in depth information you offer. It's nice to come across a blog every once in a while that isn't the same out of date rehashed information. Excellent read! I've bookmarked your site and I'm adding your RSS feeds to my Google account.